SREI Equipment Finance NCD - April/May'18 - Should you Invest? 9.60% SREI Equipment Finance NCD – April/May’18 – Should you Invest? 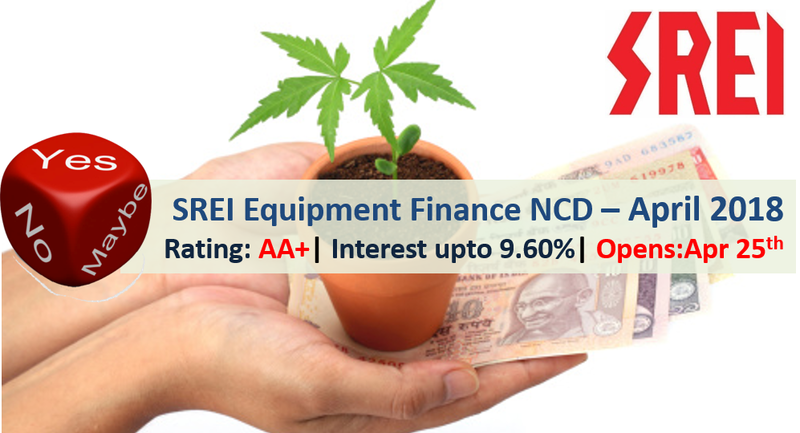 SREI Equipment Finance has come out with public issue of non-convertible debentures (NCD) offering up to 9.60% interest rate. The issue opens on April 25 and closes on May 16, 2018. SREI Equipment Finance is joint venture of SREI and BNP Paribas and deals with financing of Infrastructure equipment in organized sector. There are 11 options of investment in SREI Equipment Finance NCD. SREI Equipment Finance NCD – Who can Apply? 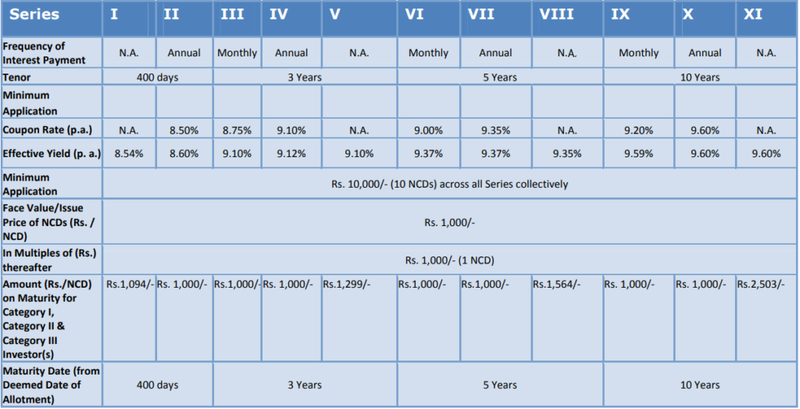 Only Category III Investors can apply for allotment of NCDs in the physical form for Series IV, Series VII and Series X NCDs. However, Series I, Series II, Series III, Series V, Series VI, Series VIII, Series IX and Series XI NCDs would be allotted compulsorily in dematerialized form to all categories of Investors. The interest rates trend is rising. In last two months SBI has raised its interest rate on fixed deposit by 0.75%. It seems like the interest rates would go up more in near future. Hence should not lock your investment for long term. 9.50% SREI Infrastructure Finance NCD – Feb/Mar 2018 – Should you Invest? 9.55% SREI Equipment Finance NCD – July’17 – Should you Invest? 9.75% SREI Equipment Finance NCD – January 2017 – Should you Invest?